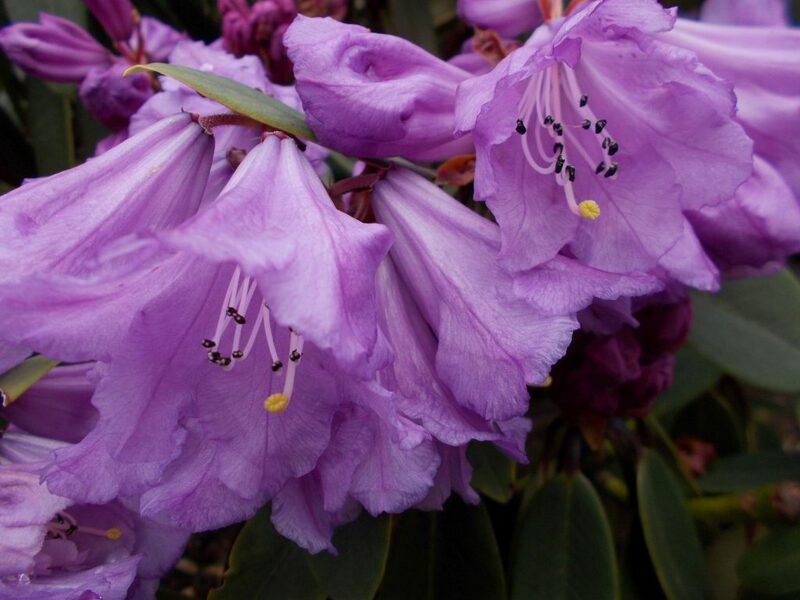 Warmth in the air and a lack of frost will give a good flowering season amongst the Rhododendron collection. One worth searching the copse for is Rhododendron davidii. Collected in evergreen forest within Sichuan province, China near Dujinyan at 1900m. 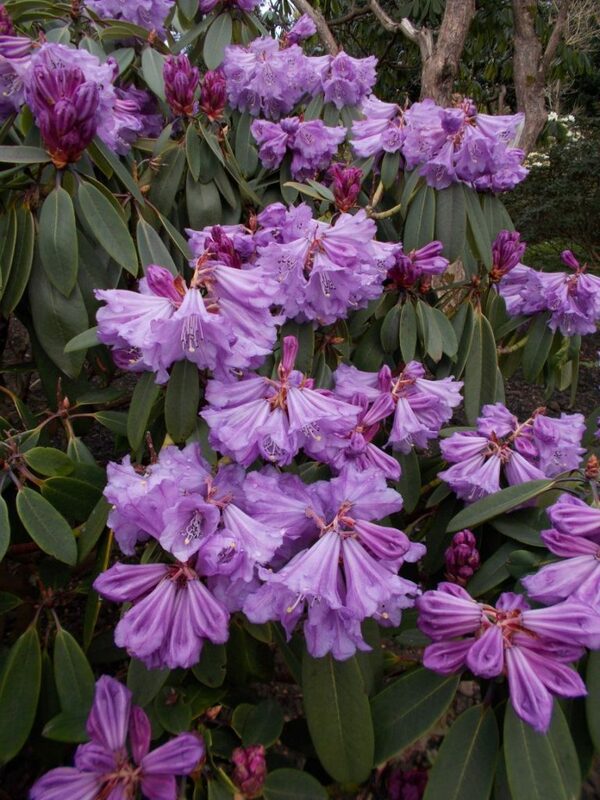 A strong growing evergreen with magnificent trusses of almost purple flowers. Appreciate the colour, being so different to the rest of the plants set out through the copse. But also look more closely at the individual flower, up to 14 can form one truss. Inside the corolla one or two of the fused petals have a subtle mottle mark.